A complete listing of the 6 best rooftop bars in Tokyo in 2019. 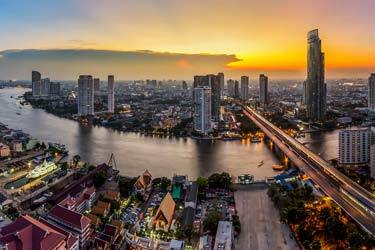 So, which is the best rooftop bar in Tokyo? 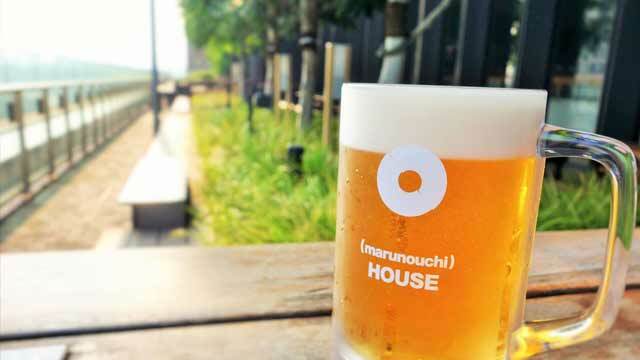 Find the best Tokyo rooftop bars with all info you need about each place. Opening hours, dress code, pictures, maps and much more. Tokyo is the world’s biggest city with over 58 million inhabitants. And there are of course some spectacular roof terraces here. 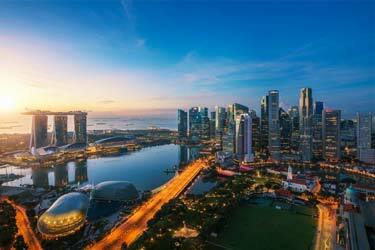 Many of them with absolutely breathtaking city views and top-notch restaurants. During summer the rooftops are especially popular. 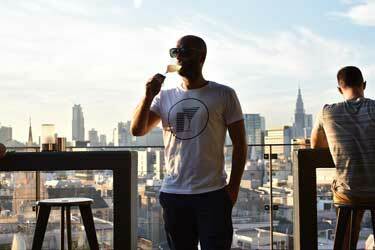 Scroll down and find the Tokyo rooftop bar best suited for you. Or use the Tokyo rooftop map in the bottom right corner. 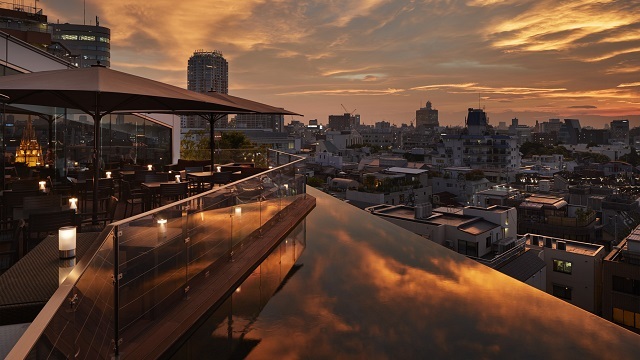 A stunning rooftop in Tokyo with equally stunning food and views. Located in Tokyo’s fashion district, the rooftop comes with both indoor dining room and lounge along with a very stylish rooftop terrace. Located only five floors up, but the view on display makes it feel a lot higher. Pin point a sunset you are in for a real treat. 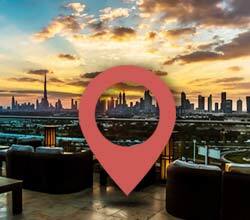 The indoor restautant serves modern fine dining, while the rooftop bar and terrace offers a set of tasty bar bites along with crafted signature cocktails, a large selection of Mojitos, beers and a really impressive wine list. Hacienda del Cielo is spanish for "House in the sky", and with the tagline 'Modern Mexicano' it is quite easy to understand that this is a rooftop bar where the latin vibes fly high. Located in the popular Shibuya district, this 9th floor terrace comes with really impressive views over the Tokyo skyline. Open for both lunch, dinner and late night drinks, the vibe at Hacienda del Cielo is as you would expect from a Mexican restaurant: a bit loud, vibrant but very friendly. 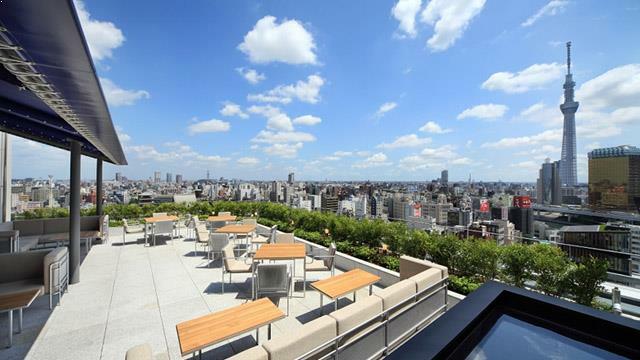 Located on the 7th floor of the Shin-Marunouchi Building, just in front of Tokyo Station, this rooftop holds not less than nine different restaurants and bars. Here you can order a wide variety of drinks and food, from traditional Japanese to mouthwatering Italian cuisines along with beer, wine and cocktails. And service is food court style, so after ordering you just bring it to the larege open air terrace. Open from lunch to late at night, with live acts and DJs thu-Fri.
An Italian rooftop bar and restaurant that has a 30 seats terrace with perhaps Tokyo's most cozy views. Located on the 4th floor at the GYRE shopping mall, close to Harajuku station, you are at the height of the treetops and get some great vistas of the neighborhood and the bustling streets below. Open for both lunch and dinner, here you can enjoy good pasta and other Italian dishes, along with a great selection of wine and some very well made coktails. Cosy and romantic ambience, perfect for a night out with a loved one. 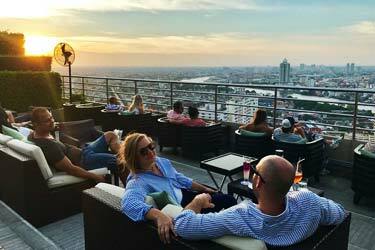 Located on the 13th floor of the modern and fantastic The Gate Hotel Asakusa Kaminarimon, this rooftop bar probably offers the best views in eastern Tokyo, with uninterrupted views of the Tokyo Skytree as a main highlight. The R Restaurant & Bar comes with a stylish indoor lounge and a quite small terrace that seats about 20 people. Open from early morning to late at night you can enjoy great western cuisine along with a good set of wines and fresh cocktails. Relaxing and cosy ambience with a piano beeing played live every night. 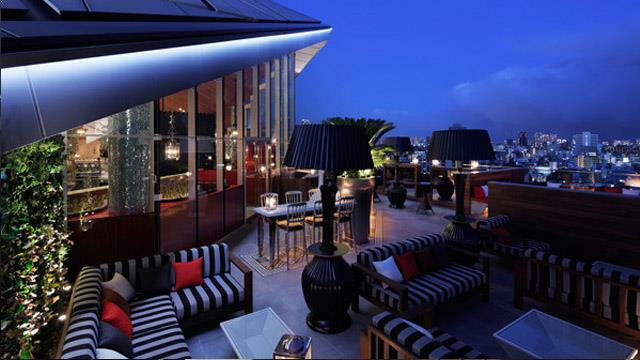 Nirvana New York is an Indian restaurant and rooftop bar, located at the luxurious shopping center Tokyo Midtown. 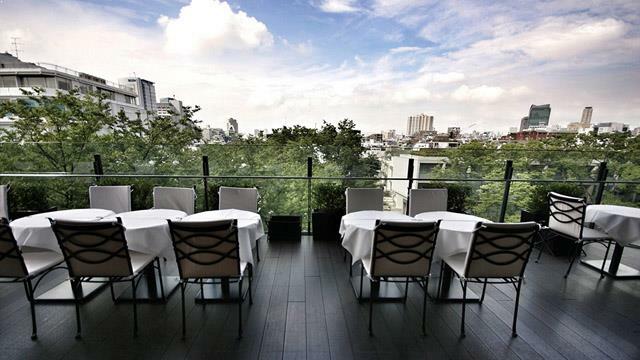 Only located up on the second floor, the modern and stylish terrace still offers a beautiful view over the Hinokicho Park and the Akasaka skyline. Here you can enjoy a large selection of Indian cuisine, both for lunch and dinner, where the well-known "Curry lunch" is very popular. Discover the biggest collection of Tokyo activities, guided tours and skip-the-line tickets. Anything you want you'll find right here. Which are the best rooftops in Tokyo? This complete guide will help you find the best rooftop bars in Tokyo. Tokyo has a very beautiful waterfront and a varied climate. 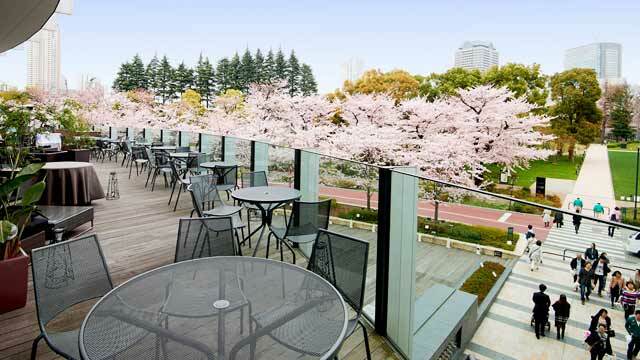 The Tokyo rooftop bars are open almost all year long,exceptthe colder winter months. 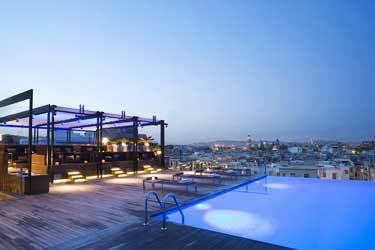 The terraces often have a very cool decor and the views can be quite magical over the city’s skyline and waterfront. Being the biggest city in the world you should expect some more rooftop bars in Tokyo, but hopefully it will open more in the future. 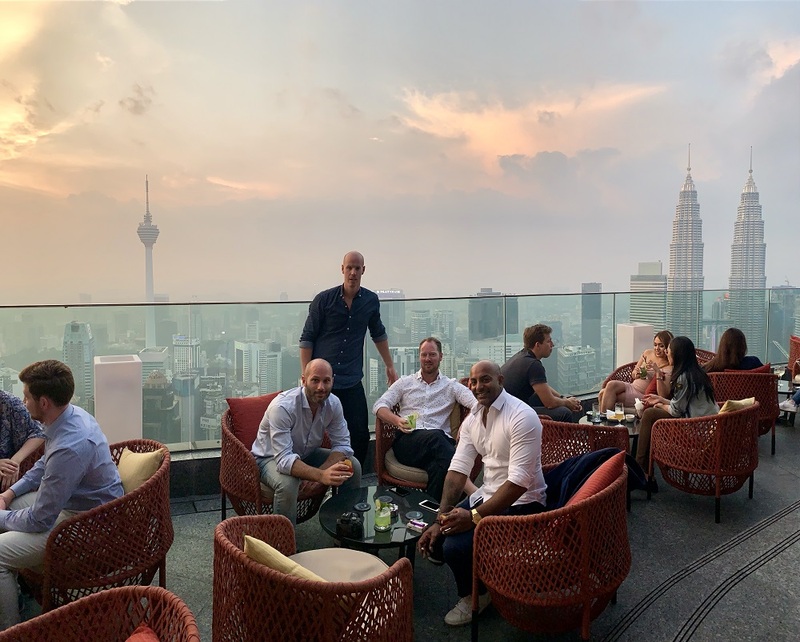 The typical rooftop here, is located at a hotel or on top of a fancy restaurant. Use the map below, to find the best rooftop bars in Tokyo. Tokyo is the most populous city in the world. 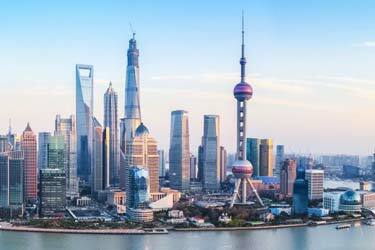 It is also the capital of Japan and one of the world's major economies and trading cities. 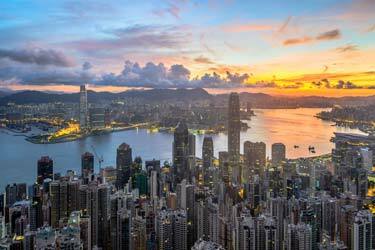 The city is divided into 23 districts where each district has its own mayor and assembly. The city is also filled with great restaurants and small delis. Many argue that Tokyo is the world's best restaurant city.